This opinionated guide to the best trails in top hiking destinations features trails that take you above timberline to turquoise lakes nestled in dramatic cirques, to passes with see forever views and to glorious alpine meadows filled with wildflowers. 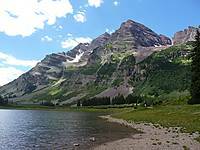 The San Juan Mountains around the towns of Ouray, Telluride, Silverton and Lake City are one of Colorado's best day hiking areas. 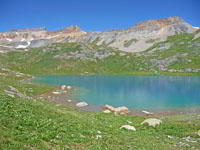 The Sawatch and Elk Mountains around Aspen, Leadville, Buena Vista, Crested Butte and Marble feature glacial valleys leading to vast alpine expanses and glistening lakes set amid towering peaks. 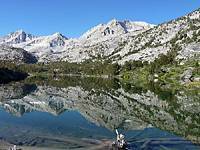 This hiker's wonderland around Lee Vining, Mammoth Lakes, Bishop and Lone Pine is crisscrossed by trails traveling through the John Muir and Ansel Adams Wildernesses, Yosemite and Sequoia-Kings Canyon National Parks. 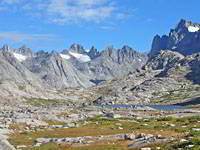 The Wind River Range is a backpacker's paradise, running for 80 miles along the crest of the Continental Divide in west-central Wyoming. 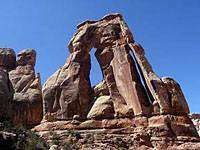 Trails in Moab, Canyonlands, Arches, Grand Gulch (Cedar Mesa) and Bears Ears visit spectacular canyons, arches and spires carved into high desert plateaus. 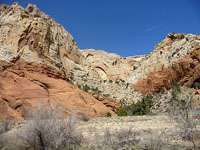 Visit the astonishing landscape at Bryce Natl Park, spend days roaming the rugged plateaus and multi-hued canyons of the Grand Staircase-Escalante NM and explore the hidden treasures of Capitol Reef Natl Park. 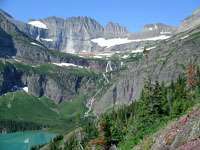 Glacier will delight hikers with over 700 miles of trails ranging from short nature walks to extended backpacks, traveling through some of the most spectacular and wild country in the Rockies. 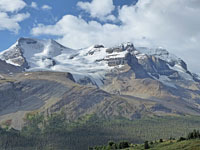 The hiking trails of Banff, Jasper, Yoho, Kootenay and Waterton Natl Parks and Assiniboine Prov Park visit a wonderland of glacier-clad peaks, icefields, turquoise lakes and emerald green meadows. 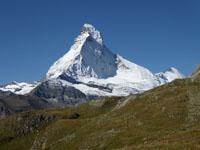 The Valais and Bernese Oberland are a hiker's heaven of soaring peaks, glistening glaciers, wildflower-filled meadows, charming alpine villages and world class mountain resorts such as Zermatt, Saas Fee and Gindelwald.